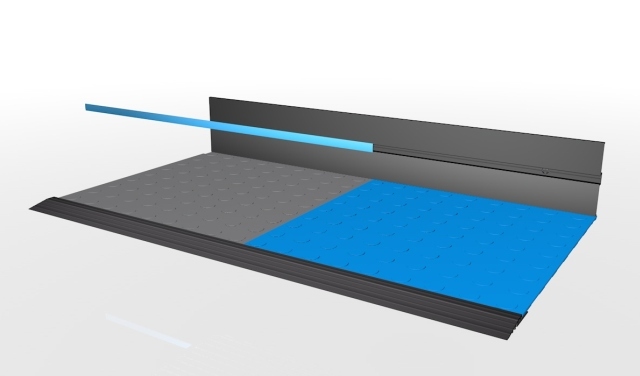 Can be used with Seamless, Motolock or Mototmat tiles to provide a neat floor edge. NOTE: Trim Inserts matched to the skirting colour are supplied and included in the skirting price. Trim inserts in a contrasting colour are 99p extra per trim (ex vat). Secure card payments are via WorldPay and PayPal. 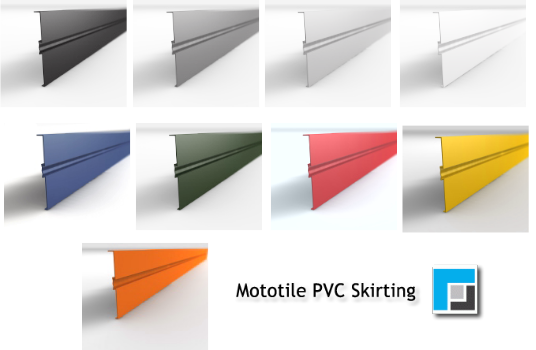 Mototile PVC Skirting £6.99 (£8.39 with VAT) - Supplied with matching colour insert. Optional Skirting Trim Inserts - 99p (£1.19 with VAT). For creating colour contrasts / highlights.